For 2018, Jourgensen forecasts giant political upheaval and geopolitical stress which has been set up in 2017 by the “orange shitgibbon” himself. According to Jourgensen, 2016 and 2017 were similar to having a puss-filled boil or pimple on the country. “We have to get 2017 and 2016 off of us,” he states, “and 2018 is going to be the popping of the pimple. It’s going to be a rough year, but it’s going to be a necessary year for the progression of the human race. 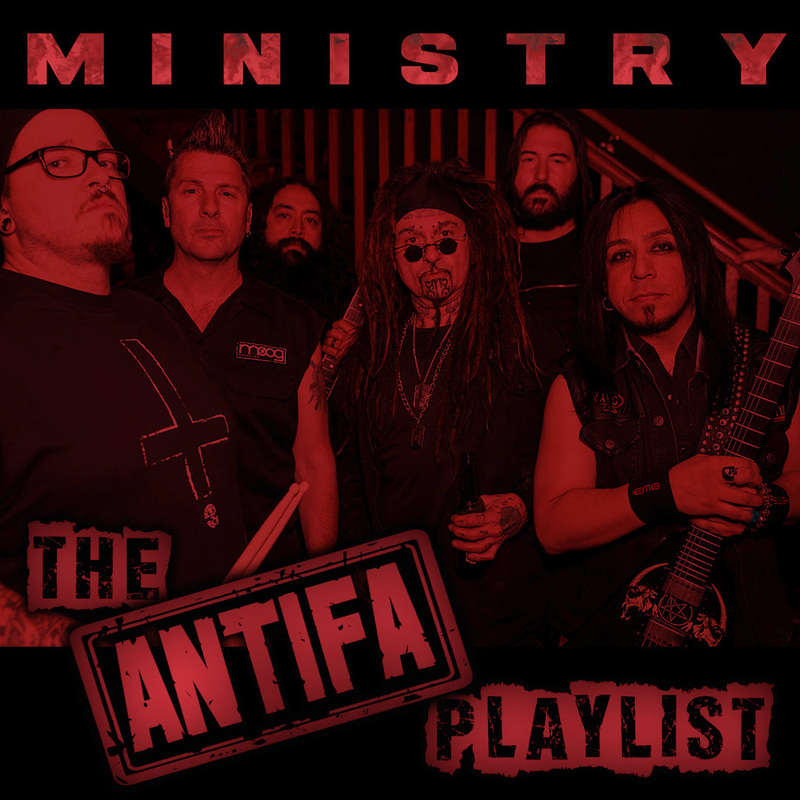 Also happening in 2018 will be Ministry’s new album, AmeriKKKant, the psychedelic, politically influenced album rooted in Jourgensen’s unadulterated anger for what’s happening in America today. (March 9, Nuclear Blast Records). With six Grammy nominations to date, over 3 million records sold, more than 2,000 live performances, and movie soundtrack work on Hurt Locker, Artificial Intelligence, Matrix, Robo Cop and SAW,MINISTRY has been contributing to the music industry for over three decades.